The Maginot Line was a defensive structure built along the French border in the 1930s named after the Minister of War, Andre Maginot. In Eastern France there were a number of systems and the A2 Ouvrage Fermont was built from 1931. 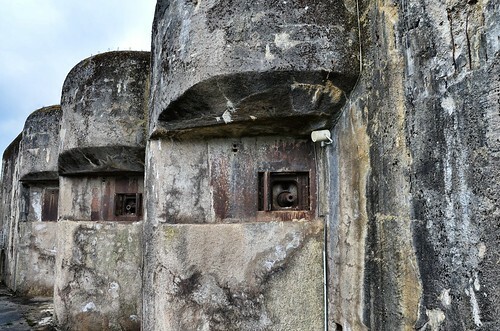 This was a major section of the Maginot Line and Fermont consisted of two entrance blocks, three infantry blocks, three artillery blocks, and one observation block. With 81mm mortar turrets, 75mm anti-tank gun turrets and numerous machine-guns, it was well armed and during the Battle of France more than 550 officers and men were inside garrisoning the position. The guns of Fermont first opened fire in anger on 11th May 1940, against units of a German infantry division. Rapidly the Blitzkrieg outflanked Fermont but it’s garrison refused to surrender. Weapons were brought up to engage and an 88mm began firing at one of the main fighting blocks, but it stopped firing just as it seemed the next round from it would penetrate the concrete. Eventually the men of Fermont surrendered on 27th June 1940 following the collapse of France and the signing of the Armistice. 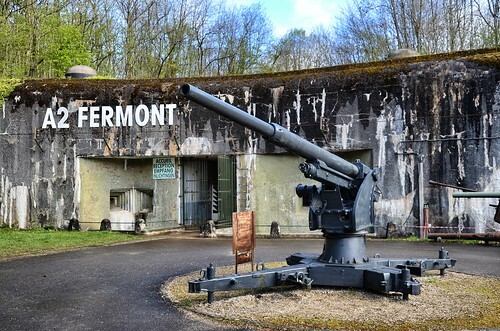 The Ouvrage Fermont did not see any fighting in 1944 when American troops liberated this area and post-war it was downgraded, an association eventually taking over the site in the 1970s. 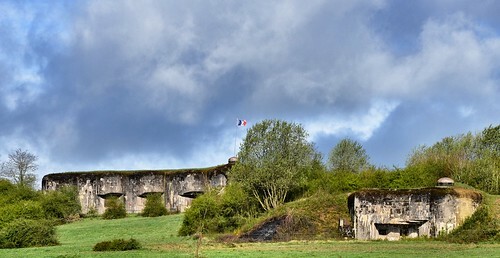 It is now a major Maginot Line Museum with working turrets, working lifts, a ride on a former ammunition train and an excellent museum of the whole Maginot Line.